12:21 PM - Elizabeth Freer quoted Sl7therin in post Supplementing and feeding. 07:32 AM - Sl7therin quoted Elizabeth Freer in post Supplementing and feeding. 11:02 AM - Sl7therin quoted Elizabeth Freer in post Can I dust my leopard gecko’s treats? 04:45 AM - Elizabeth Freer quoted Sl7therin in post Can I dust my leopard gecko’s treats? 07:27 PM - Sl7therin quoted Elizabeth Freer in post Can I dust my leopard gecko’s treats? 03:35 PM - Elizabeth Freer quoted Sl7therin in post Can I dust my leopard gecko’s treats? 03:31 PM - Sl7therin quoted Elizabeth Freer in post Can I dust my leopard gecko’s treats? 03:25 PM - Elizabeth Freer quoted Sl7therin in post Can I dust my leopard gecko’s treats? 07:11 AM - Sl7therin quoted Elizabeth Freer in post Can I dust my leopard gecko’s treats? 05:31 AM - Elizabeth Freer quoted Sl7therin in post Can I dust my leopard gecko’s treats? 08:55 AM - Sl7therin quoted Elizabeth Freer in post Can I dust my leopard gecko’s treats? 09:35 PM - Sl7therin quoted Loki The Leo in post Can leopard geckos eat earthworms? 02:39 PM - Elizabeth Freer quoted Sl7therin in post Why is my leopard gecko so small? 10:21 AM - Elizabeth Freer quoted Sl7therin in post Supplement help! 08:51 AM - Sl7therin quoted Elizabeth Freer in post Supplement help! 11:51 PM - Elizabeth Freer quoted Sl7therin in post Supplement help! 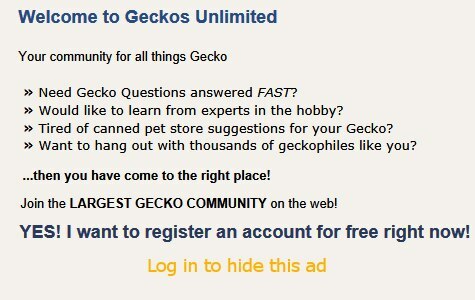 09:23 PM - Sl7therin quoted Loki The Leo in post Why is my leopard gecko so small? 07:51 PM - Sl7therin quoted GeckoLeen in post Where can I find mealworms?